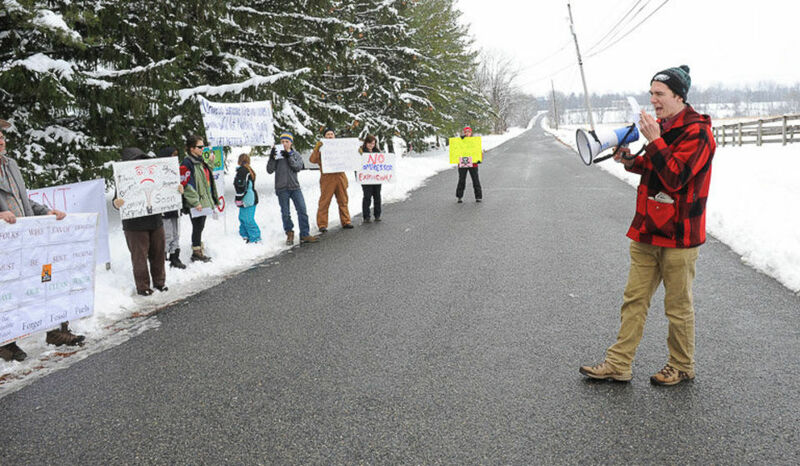 About 20 Forks Township residents and activists gathered outside the Columbia Gas compressor station Saturday afternoon in the township’s northern tier to protest a proposed expansion that will more than quadruple the facility’s horsepower. Lining the road outside the Klein Road facility that moves natural gas to market, protesters held signs declaring “How Long Can You Hold Your Breath” and “Folks Who Favor Fracking Must be Sent Packing.” Some protesters sported gas masks and an armed security guard stood near a car parked in the property’s driveway before moving back behind locked gates. 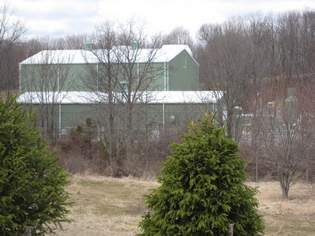 Pacing the road with a megaphone in hand, Sam Koplinka-Loehr with the Clean Air Council led the group in chants that could be heard echoing over the predominantly rural landscape. Recent news articles, in my opinion, paint a rosy picture for the liquefied natural gas export terminal at Dominion Cove Point, but I believe there is more to the story. The rapid drop in oil prices, from $100 a barrel to under $50 in January, has wide impacts, including on the export of gas. In December, Excelerate Energy in Texas decided to stop construction of its export terminal because of these economics. Dominion’s terminal seems on shaky ground. Solar and wind energy are becoming cost-competitive. 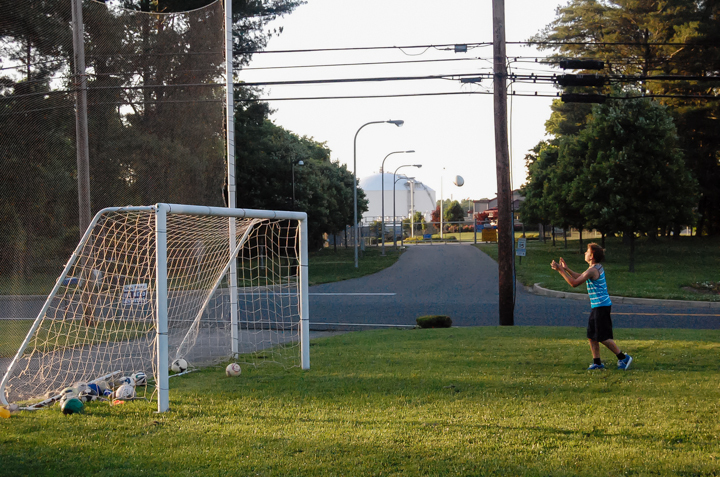 Communities all over the country, including Cove Point, are resisting projects like this one. Proposed and even partially built fossil fuel infrastructure is being abandoned. In talking about ‘fracking’, oftentimes the industry tries to limit the discussion to the actual process of injecting liquid at high pressure into rock formations to extract gas. However, there is a broad network of infrastructure that is required to support that process, including storage facilities, compressor stations, metering stations, processing facilities, gathering lines, and intrastate and interstate pipelines. And regulatory oversight of those components falls to various local and federal agencies, if it is regulated at all. Very generally speaking, activities related to drilling fall under state authority while the federal government has oversight of interstate pipelines and associated facilities. And what that means for towns like Myersville is that while there is currently no fracking in Maryland, the natural gas boom has already negatively affected our community.